Well it’s arrived – the year-long awaited celebration of my birth. I’m kind of enjoying birthday’s as I’m getting older. I’m still a little pessimistic about them, but now days I look forward to spending it with my loved ones, family and friends. I don’t do big celebrations, I hate being in the spotlight. I like dinner, and drinks, and talking about random stuff that doesn’t involve age. Last night my lovely boy took me out for an amazing birthday dinner at Rockpool. I love all things Neil Perry, and this place didn’t disappoint. Before heading out, I made a bunch of scones to take into work. Where I work, everybody brings in something for morning tea when it’s their birthday. I had a craving for scones and so made a HEAP. I asked a girl at work who’s a bit of a pro when it comes to baking and catering, for a good recipe. What she came back with was the simplest recipe I have ever seen. 4 ingredients. That’s it! And they were awesome. I made a test batch Saturday afternoon, to which I then sat down and scoffed a few with a cup of tea. They were still good the next day too, which is a plus. I think after two days they start drying out. Well, anyway. This little recipe is a gem I tell ya. I have eaten so many scones over the past three days I need to take a break. For maybe a week. Sift the flour and salt in a bowl, then make a well in the centre. Pour in the cream and lemonade and stir until a dough is formed. Be careful to not overwork the dough, you want to make sure it stays light and soft. Put a dusting of flour on a clean surface, and roll out the dough until it is about an inch thick. 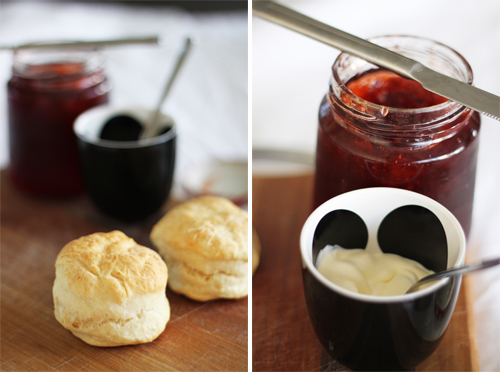 Use a cookie cutter or cup to press out round scones. 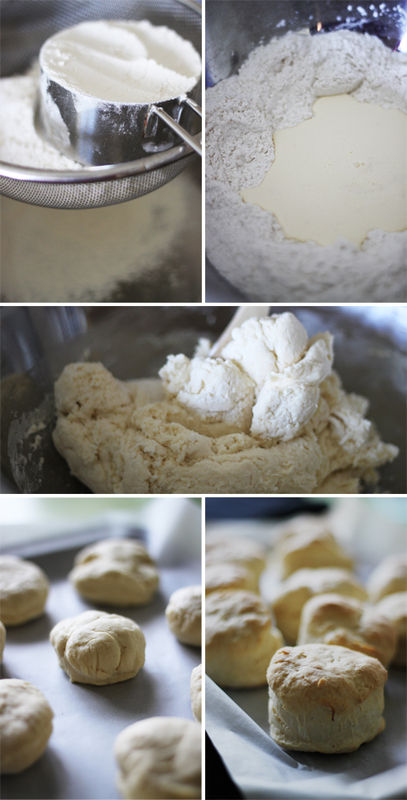 Place the scones on the tray, and bake for 10-12 minutes. They should be pale with a light golden colour. These are amazing! 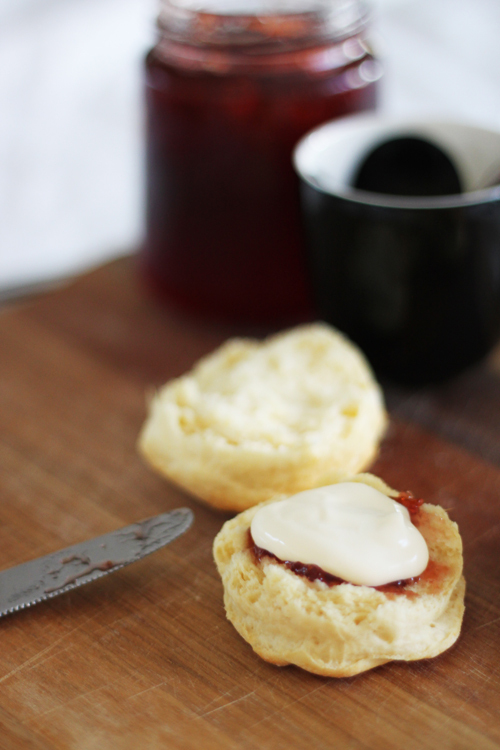 When I saw it only had 4 ingredients I thought I would give them a try as scones have always been a disaster for me. These seem fail safe, so light and fluffy. My tastebuds love but my waistline hates you. Thanks for sharing your birthday scones. They really are a simple recipe, love these! I found a couple spare in my freezer last night, defrosted in the microwave and surprisingly were still light and fluffy! And don't worry, my waistline is suffering too!